Want a side of CBD honey with your toast? 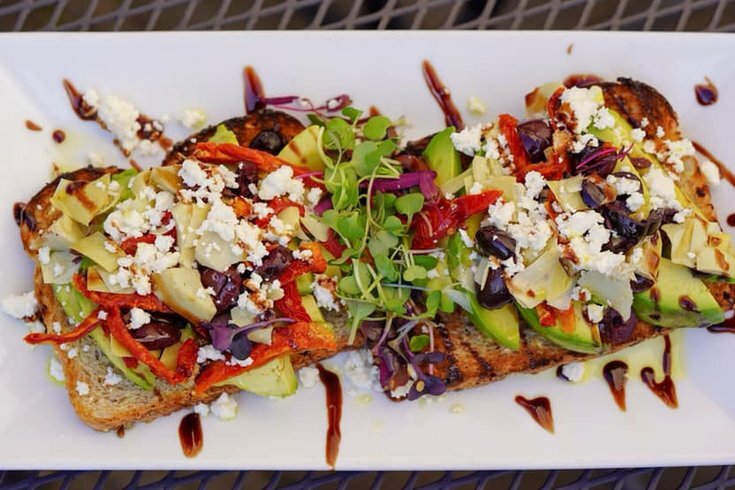 West Chester's Roots Café is promoting the trend in the suburbs. The rise of cannabidiol (CBD) add-ons in Philadelphia is already well-established thanks to places such as Ardiente and Sip-N-Glo, but Roots Café is among the first establishments to bring the CBD trend to the Philly 'burbs. CBDs have been gaining traction in recent months, noted by advocates for the marijuana derivative's purported benefit in dealing with inflammation, anxiety, pain and other conditions, without imparting the typical psychoactive effects – lethargy, dysphoria – associated with pot. To further introduce the trend outside the city, Dan Merola and John Hearn, chefs and owners of West Chester's Root Café, are orchestrating a five-course CBD dinner on Thursday, Feb. 28, from 6 to 10 p.m.
During the dinner, guests can opt for a total 10 mg of CBD across the dishes, which include burrata, elk meatballs, and "Hemp Panna Cotta." If you can't make it to the event, Roots Café is already selling its own CBD honey during breakfast, lunch, and dinner, measuring at about 5.6 mg of CBD at $5 a serving. “It’s something our guests can add to their coffee, tea or granola,” Merola and Hearn said in a statement. Though CBD add-ons aren't a permanent menu fixture except for the honey option, Merola and Hearn are considering introducing it as an option for future dishes. Check out more about Roots Café here.